The shadowy hacking group “Anonymous” just dropped a bomb, figuratively speaking, on the planet with an equally cryptic warning: We should all be preparing for the start of World War III. As reported by the New York Post, the hacktivist organization released a disturbing new video that urges everyone everywhere to get ready for another global conflict, while the United States and North Korea continue to maneuver “strategic pieces into place” to battle. “All the signs of a looming war on the Korean peninsula are surfacing,” says the group in the chilling six-minute video, which was posted on YouTube. The group used its signature Guy Fawkes caricature to make a number of statements and claims regarding recent military movements in the region, as well as alleged warnings from both Japan and South Korea that a North Korean nuclear attack is not far off. The group claims that President Donald J. Trump’s test of a nuclear-tipped Minuteman 3 ICBM last week, in addition to recent warnings from the Japanese government to its citizens to prepare for possible nuclear or chemical missile attacks, both lead to the conclusion that a major conflict is about to begin between the U.S. and North Korea. 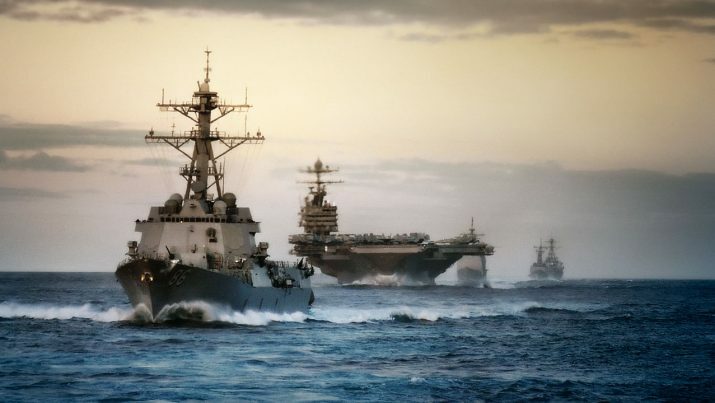 Indeed, in recent weeks Trump has dispatched an armada of warships including an aircraft carrier group and stealthy Tomahawk-carrying Ohio-class missile submarines. In addition, The National Sentinel has reported that both China and Russia have moved forces close to their common border with North Korea, most likely in anticipation of a wave of refugees out of North Korea should a conflict break out. They claim that the Trump administration has also been working closely with the Australians, sending a rotational deployment of more than 1,000 U.S. troops to the country, along with a large fleet of military aircraft. Australia is ultimately considered a “strategic location in the Indian Ocean,” Anonymous says. “The citizen will be the last to know, so it is important to understand what the other nations are doing,” the caricature says in the posted video, mentioning that China warned North Korea recently that its efforts to inflame the situation with continued nuclear and missile tests was creating a crisis. The group also pointed to recent talks between Trump and Philippines President Rodrigo Duterte. Reports said the two talked about the situation in North Korea as well as additional threats to regional and even global peace. Duterte, nevertheless, has advised the Trump administration to back off from provoking North Korean leader Kim Jong Un. With Trump sending plenty of U.S. military assets to the region, the Chinese government in apparent agreement (remember that President Xi Jinping met with Trump in April) – even requesting that its citizens living in North Korea return to China – and the diplomacy the Trump administration has been conducting in the region all appear to indicate that a conflict may be a foregone conclusion at this point.